Archives for "Hedley's Good Food Guide" category. 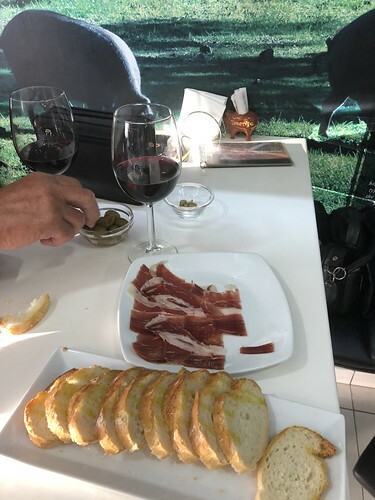 A great gastronomic delight in Spain is 'Jamon Serrano' which is basically cured legs of pork (follow the link to learn more). The meat is sliced super thinly straight off the bone and is fabulous. 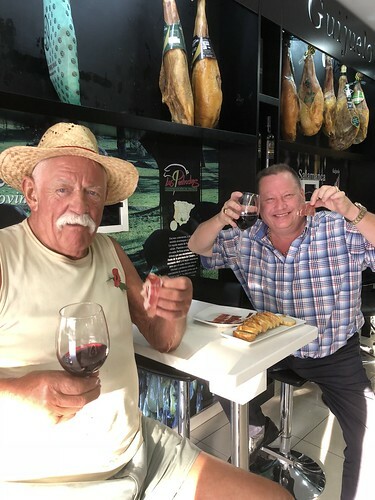 A relatively new 'Tapas' bar, specialising in 'Jamon Serrano' has opened in Los Cristianos just at the top of the road leading down to the port. 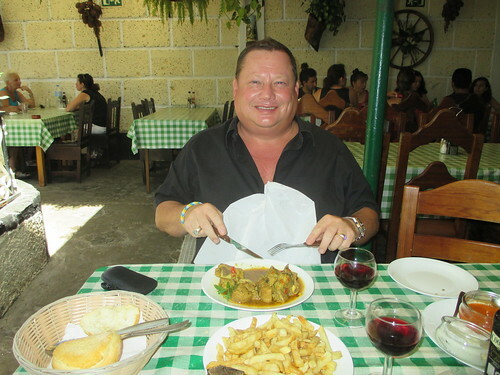 Pictured above is owner Alonso Sanchez, just getting a plateful ready for Terry and I. Normally it is accompanied by quality crusty bread and quite often with a tangy cheese. Of course it is even better when enjoyed with a glass of excellent Rioja. 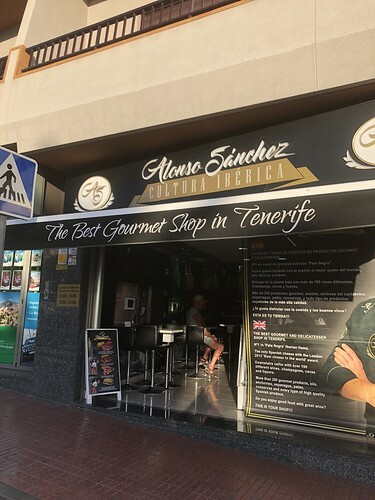 This little bar is a must to visit if you are anywhere near Los Cristianos. It is beautifully decorated, combining a modern and traditional atmosphere. Below is the frontage of the bar so that you can recognise it. Seriously, if you like a taste of Spain then this is a great little find. Simple and delicious, you can't go wrong. 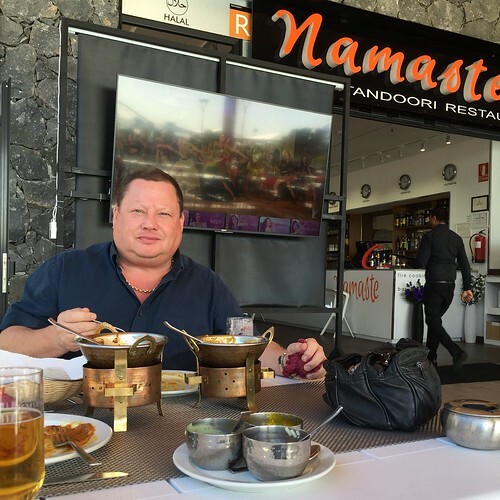 There are obviously quite a few Indian Restaurants here in the south of Tenerife and most are pretty good. However, a new one has caught our taste buds. What makes it even better is that it is in the brand new Siam Mall complex within easy walking distance of Club Olympus in Garden City. 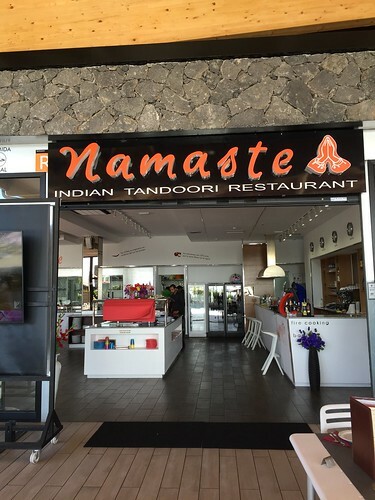 The Chef was recently working at top Indian restaurant 'Bombay Babu' and has relocated to Namaste in Siam Mall. 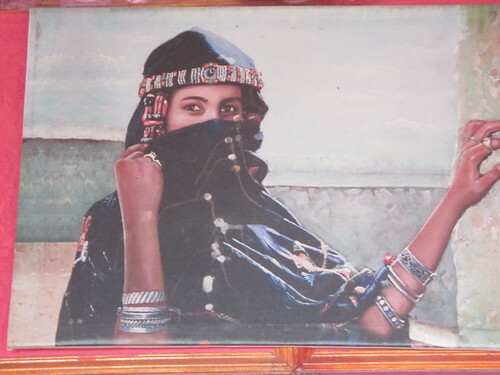 The menu is not complicated and retains all the Indian classics. Their lamb dishes are superb. And here is me (Ivan Rhodes) thoroughly enjoying a lamb curry with a Kingfisher beer. To find Namaste, walk to the Siam Mall next to the world famous 'Siam Park' Waterpark. Head up the escalators, turn left at the top and walk to the end. Easy! About a 15 minute ride away by taxi is the little fishing port of Las Galletas. On the seafront of this village are several great little restaurants. One of them is a Belgian Restaurant by the name of Panorama. They specialise in freshly steamed mussels. 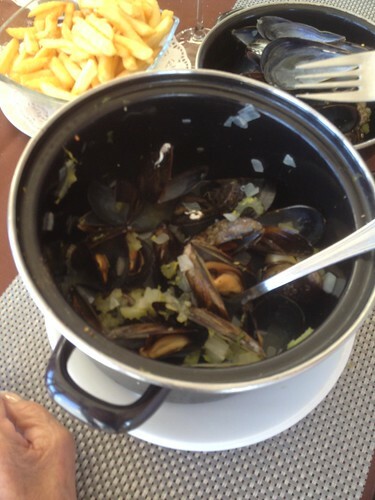 The Mussels come in a variety of sauces, you choose which one you like. We generally go for the white wine and Garlic. 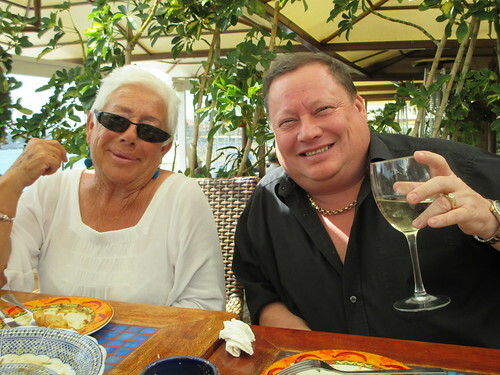 We, in this instance, being my wife Janette and mum Jane Rhodes! 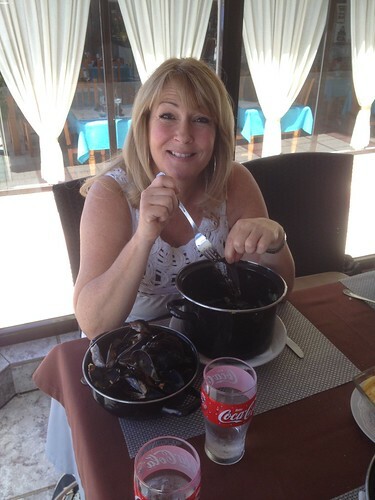 Pictured above is my Mrs, thoroughly enjoying her kilo of fresh mussels. The lid is used as a handy "graveyard" to dispose of your mussel shells. Chips are provided along with a delicious Bearnaise sauce. As we get to the bottom of our Mussels, we are left with a delightful soup that has to be finished with a spoon and plenty of bread (best to go when quite hungry). 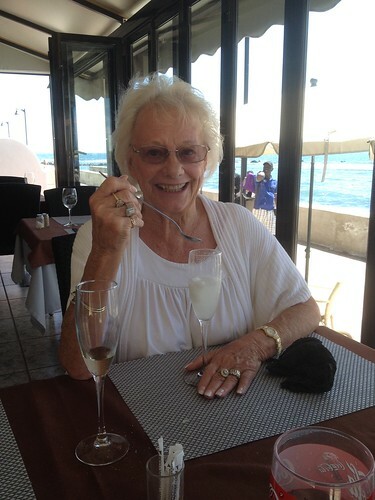 Pictured above is Mum Jane enjoying the wonderful Lemon and Vodka Sorbet to finish off with and here below is me Ivan with a happy, smiley face after a great lunch. Restaurante Panorama is smack on the sea-front with fabulous views and super friendly staff. They have a great menu but the Mussels are the thing to have here. They are closed on Mondays, as are many restaurants here in Tenerife. 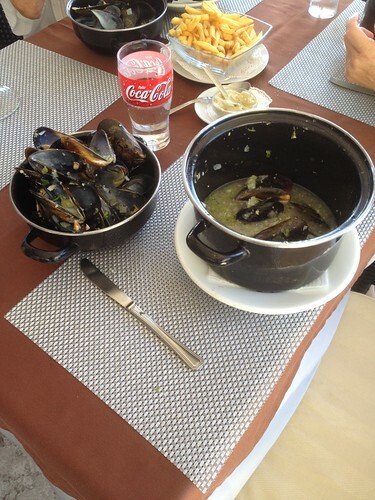 The kilo of Mussels costs 14 Euros but includes chips and sauces. Ask any member of the Olympus team for instructions on how to find it. Click here for Panorama Facebook page and here for TripAdvisor page. 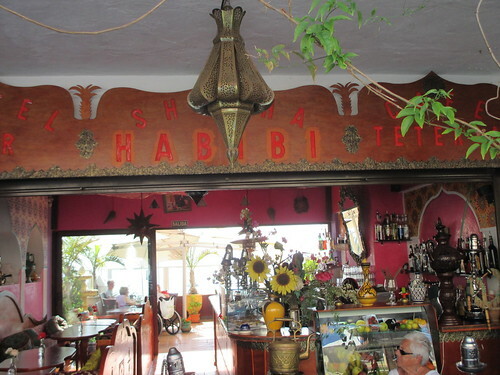 We had a great lunch at this fabulous Lebanese Restaurant in Los Cristianos. Located in the San Telmo area (heading towards the port), this Restaurant is building a terrific reputation for it's exotic yet reasonably priced menu. 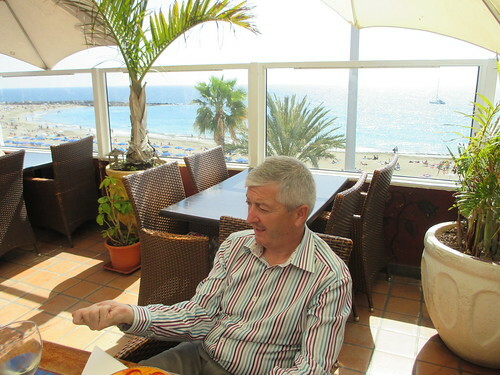 Pictured above is the restaurant Terrace which has tremendous views over the sea and Los Cristianos beach as you can see below. In the photo are Dawn of our In-House team (left) and Sue Simons our Head of Reservations. Above is Tony, part of our In-House team. The Restaurant has a lovely atmosphere and the staff are really helpful. They all speak great English and guided us through the menu. We had mixed starters with lots of pitta bread, dips and sauces. The main courses of Lamb with Mango curry and Beef in Ginger with spicy rice were out of this world. Pictured above are Tony, Sue, Dawn and Ray. Here below is me, Ivan with Sue Knellor. 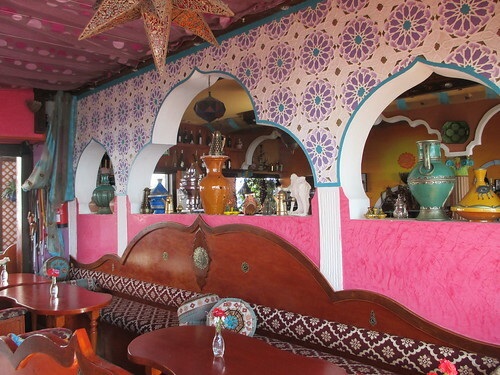 The interior of Habibi's is full of authentic Lebanese furniture and decor giving the place a very accurate middle-eastern feel and as mentioned, the food is to die for. The great thing about Lebanese food is that it is exotic but not too spicy or hot! 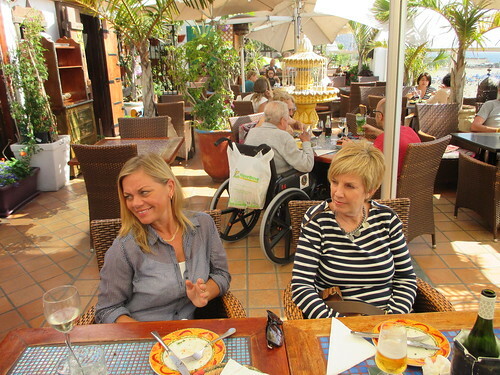 Without a doubt, when you are next in Tenerife, try and give this place a visit. It's only about 10 minutes away from Club Olympus by hire-car or taxi and is easily found on the main road. It is also wheelchair friendly with everything being on the flat. Give it a go! Bon Provecho - as we say in Tenerife! We have been really quite busy over the last couple of months. So much so that we have neglected Ray's appetite. 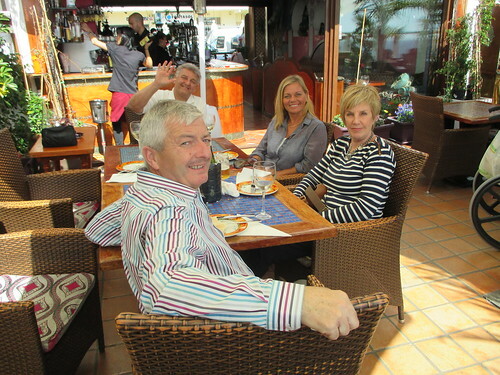 A visit to our favourite restaurant at Era Las Mozas was in order! If you don't know Ray, he is our In-House Team Manager. Born in Norway but raised in Liverpool. 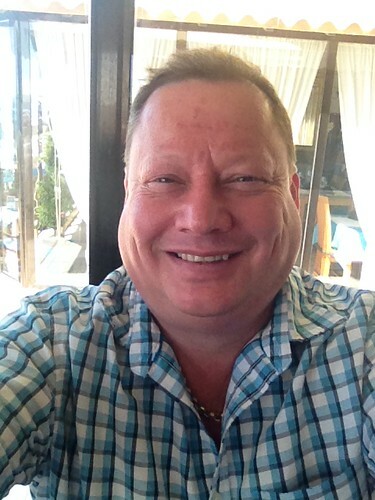 Ray is an ex-professional footballer and had Top quality menswear shops in Liverpool before moving to Tenerife in 1985. Ray has been with Club Olympus on and off for the last 20 odd years. 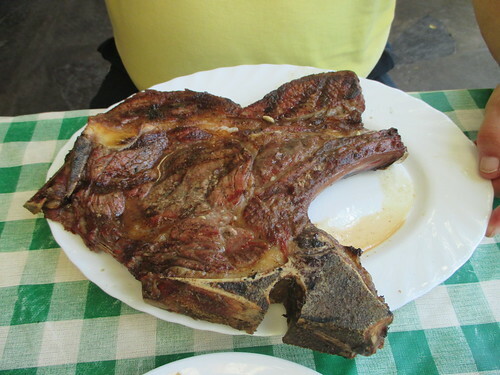 He also has quite an appetite and the T-Bone from an Ox is generally not a problem for him. 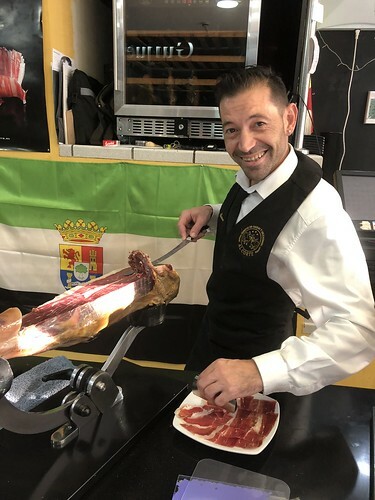 These delicious cuts of meat are sourced locally and the quality of all the food at Era Las Mozas in Valle San Lorenzo is very high. 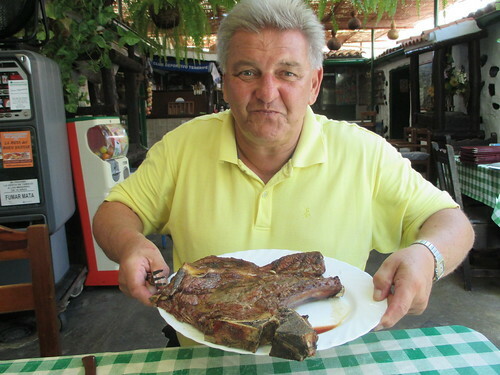 As well as the beef they also specialise in enormous racks of ribs. All are cooked on an open log fire. 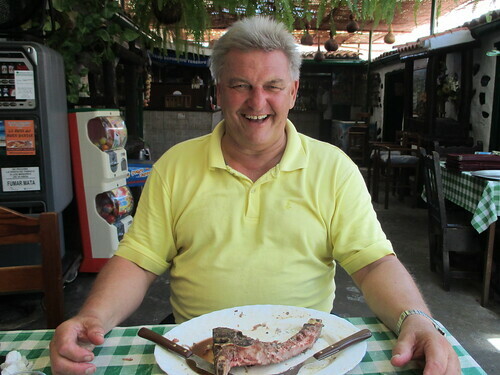 A happy Ray Karlsen at the end of his meal. I however have a much more sedate appetite and I was very happy with fresh lamb in red wine sauce.